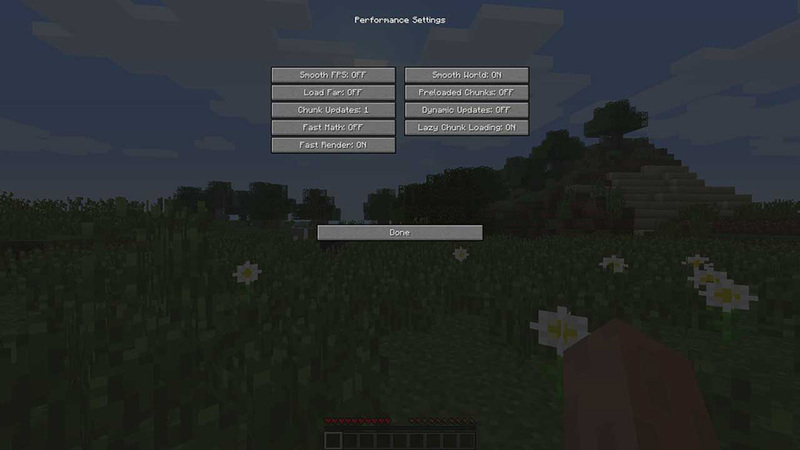 "Double the performance of Minecraft on your PC with Optifine HD." This mod greatly improves graphics within the game. Grass and snow will look exceedingly better, characters and mobs will render and move smoother throughout the game. It’s a 2x graphics boost for pete sake! I’m sure you can imagine what that means for your current Minecraft experience – it will be 2x better! The mod is also very customizable. You have the ability to configure things like smooth lighting which provides you with better shades and better lighting, improved chunk loading control, fog; you can control the in game fog based on your personal needs. You also have control over the time in creative mode. But the fun doesn’t stop there. 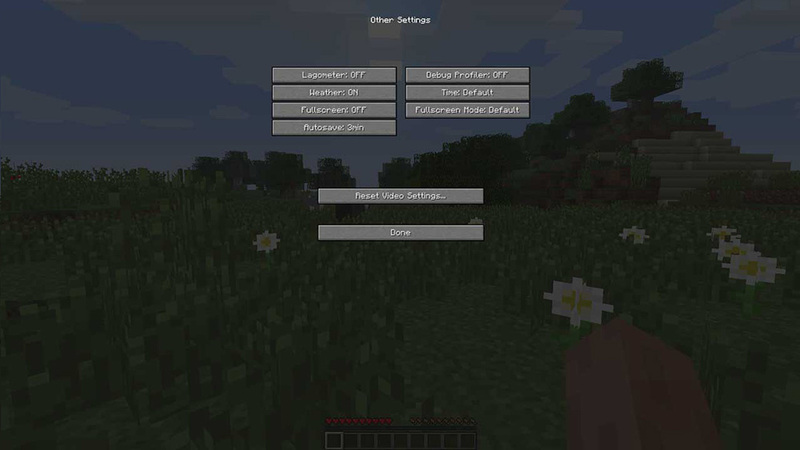 You can even configure animations with this mod; the mod supports custom animation for every object. You can control every visual there is inside the game. And best of all, all of your settings autosave. One other highlight of the mod is that there is no need to exit the game in order to tweak your settings as the java installer will install all of the necessary files right into its proper folder location within the main Minecraft folder on your PC. 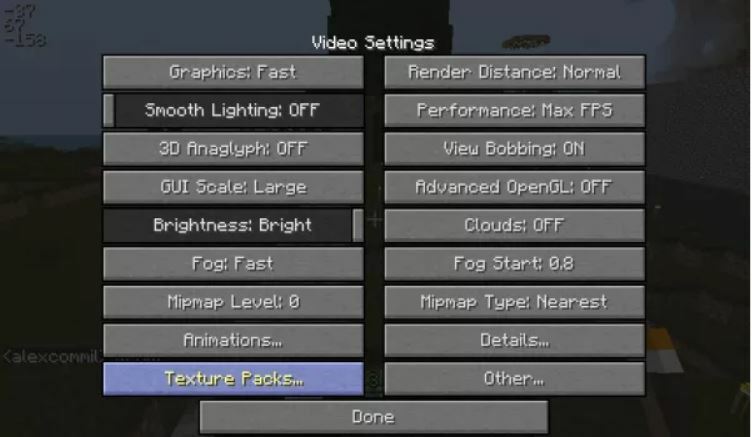 This allows you to tweak the mods’ settings within the Minecraft game itself.